Getting older isn't exactly desirable. Yet it is without a doubt a great new opportunity in our lives for development and maturity. 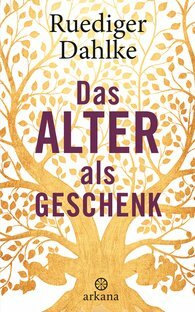 The bestselling author Ruediger Dahlke shows how we can use our later years to finally escape the ceaselessly whirring hamster wheel and experience this late phase of life with full consciousness and joy – our ultimate sabbatical. Dahlke assuages our anxieties about the typical complaints of old age by humorously examining both the light and dark sides, all the while suggesting holistic ways of dealing with them. He shows how we can courageously and wisely face the fear of ageing and dying, and he imparts to us all we require to grow older in wisdom and health – including the best nutrition and other strategies for leading a meaningful life. A book of encouragement for growing old! "A book of encouragement for growing old!"